1 . 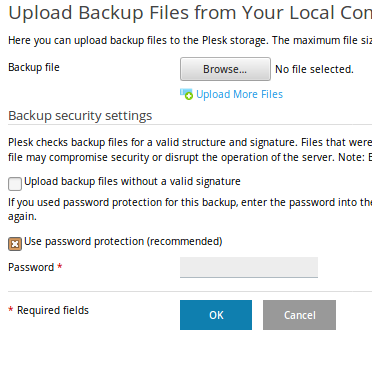 Login Plesk Panel and search for the domain name. 2. 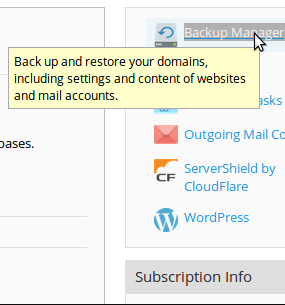 Click on Backup Manager. 4. To take backup of only the account settings, Select "Domain configuration". To take backup of account settings and all data of customer’s subscriptions, including databases, Select "Domain configuration" and "User files and databases". 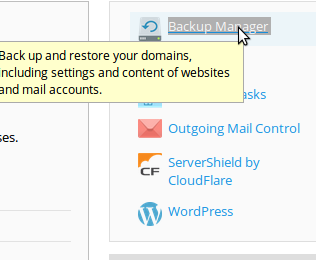 To take only account settings and Mail Backup, Select "Domain configuration" and "Mail configuration and content". 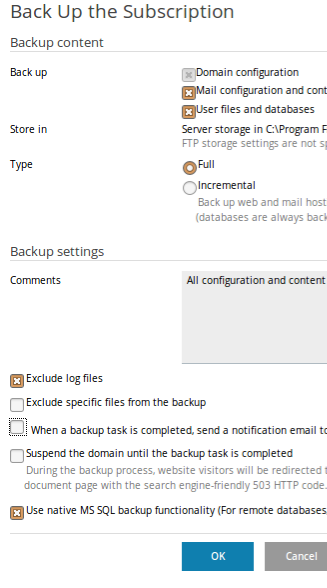 To take complete account backup, select the option “Full” and Exclude log file (To improve the speed). Download the backup files, once the backup generated. 4. Click on "Browse" and select the backup file. 5. Select "Use password protection (recommended)", if you have provided any password while downloading backup file.